“Rewind back to 1979, you hear FM staples like “Train, Train” and “Highway Song” and profess your love for Southern rock and the dudes that are hammering these tunes out of the radio. One such musician, Rickey Medlocke, who wrote said songs and formed said band, Blackfoot, and now plays for the end-all-be-all of rock from the south, Lynyrd Skynyrd, has now become an impresario of sorts for the sound he helped create. 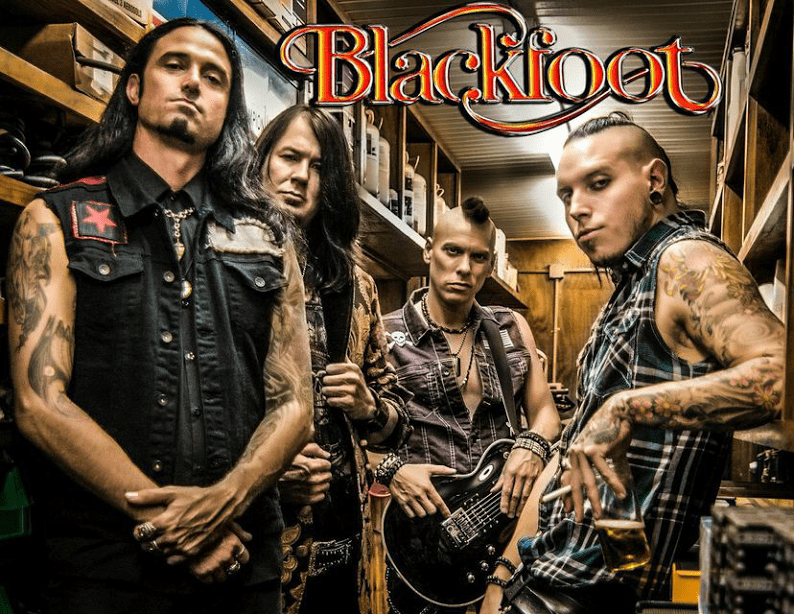 Hoping to find a new audience to revel in smokin’ guitar solos and wave the confederate flag, Medlocke has enlisted a hearty bunch of young men to carry the torch for Blackfoot.